Reverend Samuel J. Casey is the pastor at New Life Christian Church in Fontana, which he founded in 2013. 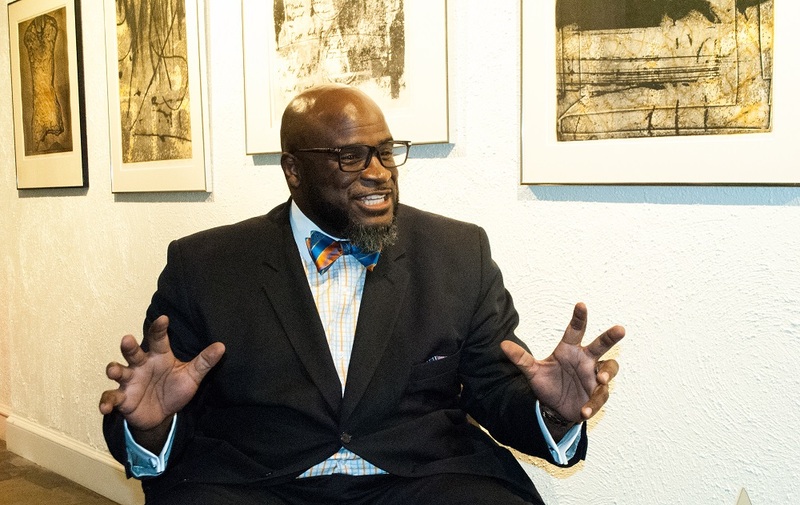 He also serves as the executive director for Congregations Organized for Prophetic Engagement, which trains clergy and community members across the Inland Empire to protect and revitalize their communities. Before joining the panel at a Zócalo/The California Wellness Foundation event, “Will the Inland Empire’s Sprawl Create the Community of the Future?” Casey talked about music, why he loves farm animals, and his Saturday morning routines. My favorite musician is Sam Cooke. I love Sam Cooke’s music. I can call my children right now and we would start singing his songs together … James Brown, Louis Armstrong, and the Temprees—those are some of my favorites. I love taking care of farm animals. [Laughs] If I could and had time I would have a backyard full of swine and sheep and chicken. What saved my life in Los Angeles was a program called Future Farmers of America … I was chapter president. As a kid, what did you get in trouble for? Oh wow. What didn’t I get in trouble for? Being sneaky. Talking too much. Not knowing when to stop playing. Those were probably the biggest things. I had absolutely nothing—shame on me. I’ve had absolutely nothing today. I’ve been going from one meeting to the next. Hollywood … most of them want to go to the beach, and see the Hollywood Stars, and then I’ll drive them through Beverly Hills. The worst job I’ve ever had, I think I kept it for three weeks. Being a baggage carrier for United Airlines—we oughta treat them better. Where would we find you at 10 a.m. on a Saturday morning? If I’m not at a COPE meeting, or at my home studying and preparing for Sunday morning, I try to sleep—but that’s rare.